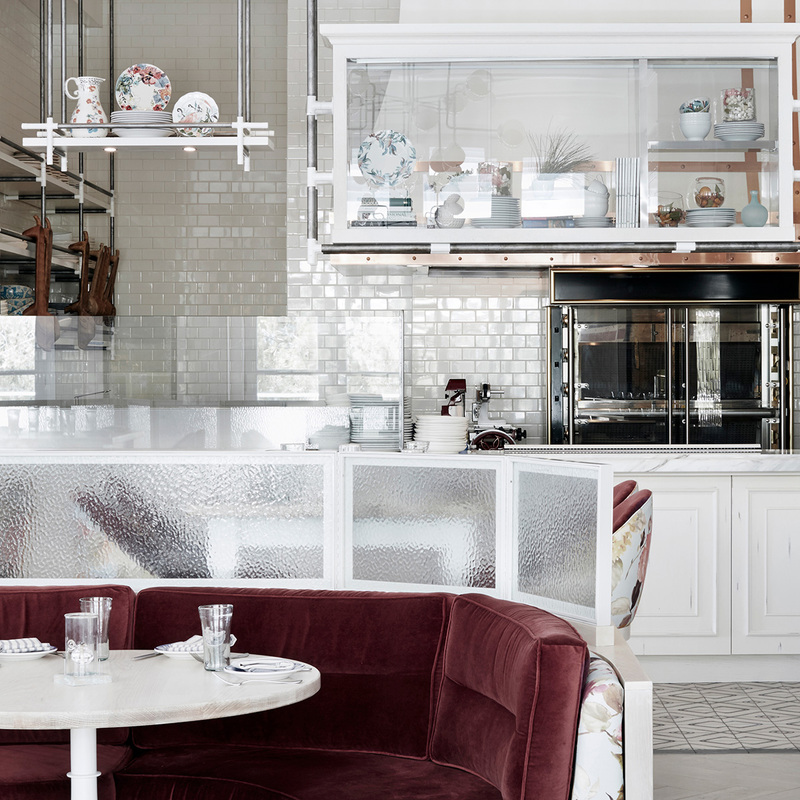 Bottiglia Cucina Enoteca by Clique Hospitality at the Green Valley Ranch is a fresh and feminine space inspired by the gorgeous Summers of the Italian countryside. 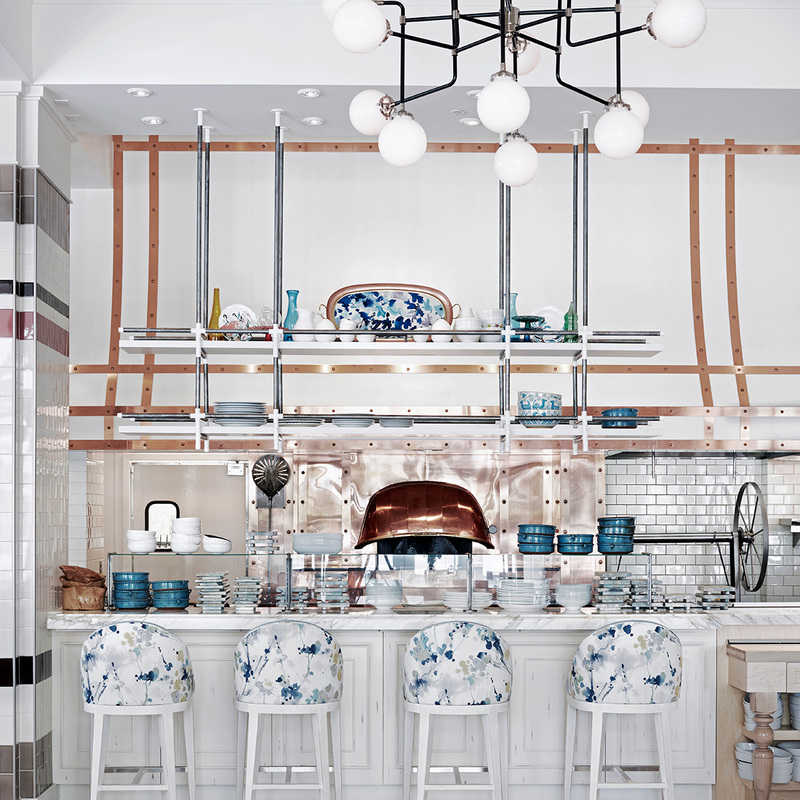 Studio Munge’s twist on traditional Italian eclecticism introduces a modernized farm-to-table atmosphere in the bustle of Las Vegas. Contrasting blue and red colour schemes punctuate the whites and creams in various elements such as the vibrant glass shade pendants, and tiled walls. 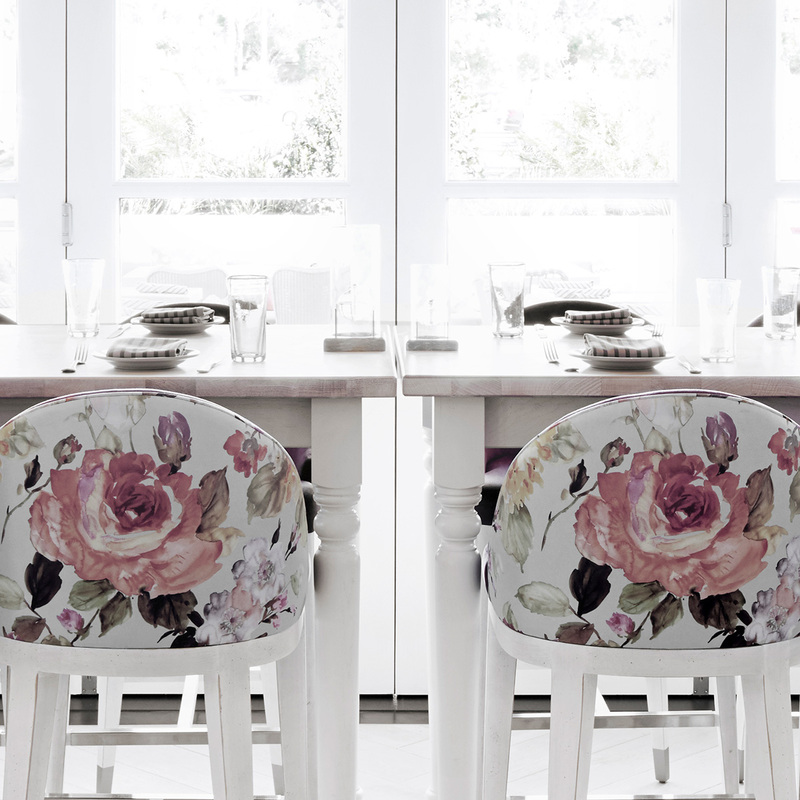 Soft furnishings, treated as art, are detailed in dusty rose and blue-grey velvets contrasted with floral watercolor pattern fabrics. The charming venue offers the genuine pleasure of a shared meal with family and lovebirds alike. In lively modern accents and colourful details, the culture-rich Bottiglia encapsulates the romantic Italian countryside. 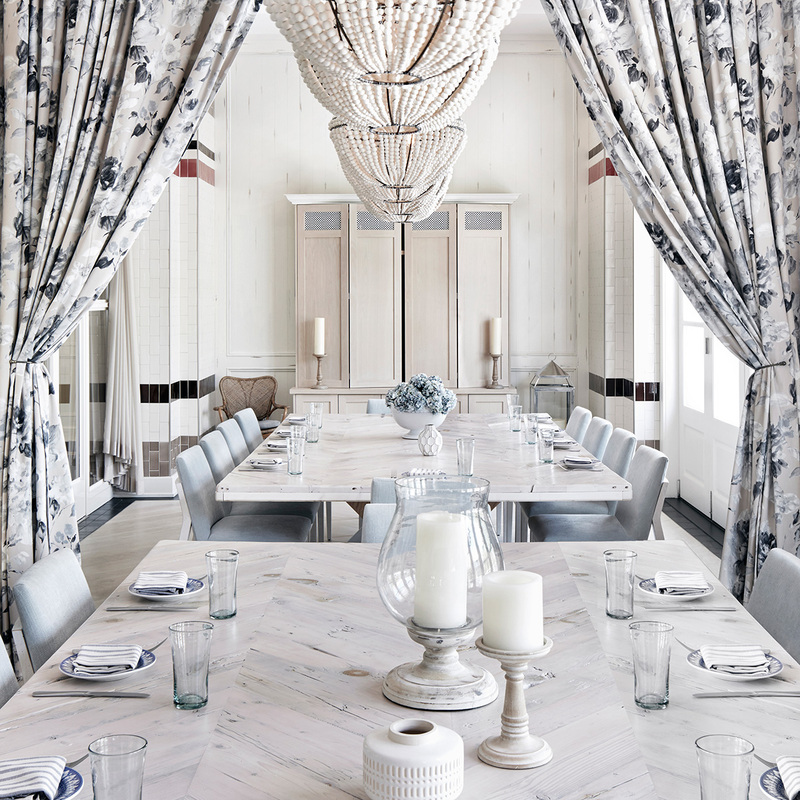 "Walking into this Green Valley Ranch spot is like walking into a rustic Italian garden party in which Martha Stewart and Marie Antoinette have equal decorating rights"
"The venue itself was probably my favorite part. The colors, the seating, the lighting - everything made you feel like you were in an entirely different place other than Vegas." 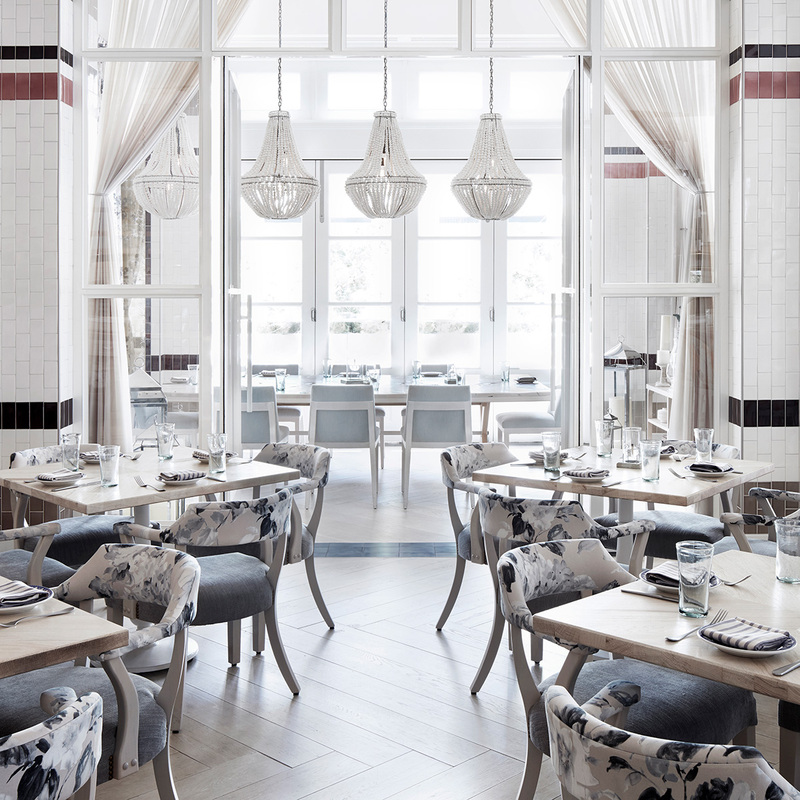 "To start, the restaurant is BEAUTIFUL and aesthetically appealing in every sense of the word. " "Probably one of the most beautiful restaurants in Las Vegas, - great vibe, beautiful patio"
"Bottiglia is such a beautiful restaurant to enjoy some cocktails and relax with friends! I've been there a few times now, definitely a great addition to Green Valley!"